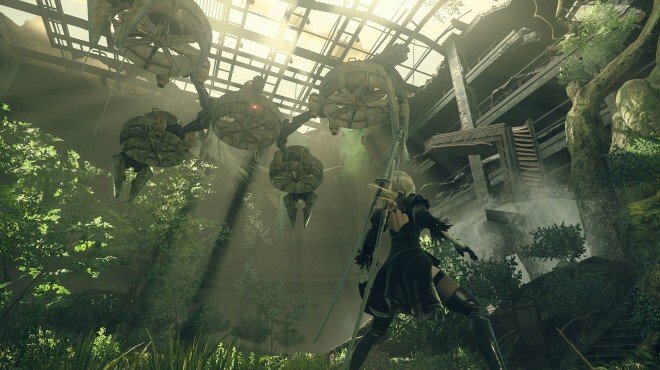 Maintenance is a Main Story Quest in NieR: Automata. "A2's fuel filter has become defective due to the battle with the goliath machine in the desert. Pod says there are spare parts at the Resistane Camp"
Thank Pascal for the filter. After completing Destroy Machines, choose to monitor A2 to receive this quest. Go to the nearby access point and transport to the Resistance Camp. Exit towards City Ruins, and you will see Pascal being attacked. Save him and talk to him. Here, you can choose to destroy pascal, or let him live. Go back inside and talk to Anemone. Talk to her once more to ask for a Fuel Filter. She tells you to go to the Machine Village and talk to Pascal there. This conversation unlocks the room for 2A at the Resistance Camp. You must now obtain Rigid Tree Bark from Forest Zone. Travel to Forest: Center and go to the marked location. Defeat the several enemies and the Goliath Biped to pick up the tree bark. Return to Pascal and talk to him to obtain your Fuel Filter. Thank Pascal for the filter: This unlocks the side quest Vanquish the Bad Bot. Complete the sub quest to progress to the next main quest: It Takes a Village.